The first time a business offers a deal, everyone gets excited. The vendor gets a bunch of new customers. People learn about a new product or service in their local community. But then when the same offer is presented again, it's not fresh anymore. Most of the potential new customers already bought the deal the first time. 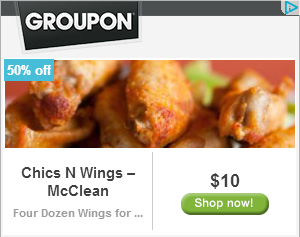 Each business has diminishing returns on future Groupons. 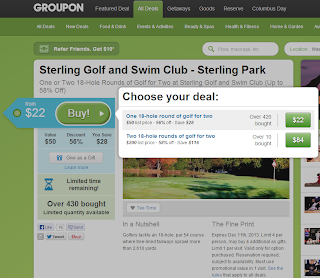 Over time, there are fewer new businesses to put out Groupons, and a saturation point is reached. There are fewer and fewer new Groupons out there to be created, and since the best opportunities already went out first, the remaining businesses become poorer and poorer candidates for new Groupons. Initial valuations based on extrapolation of Groupon's early successes missed out on recognizing this concept of diminishing returns. Creating a Groupon seems very labor-intensive to me. You have to individually hammer out all of the details with each new vendor, create the deal, get it exactly right, and then hope to do a very high volume, since there doesn't seem to be a very high margin on each of these deals. It is easy to see the difficulty in getting these deals right by looking at all the mistakes that don't get caught before they go out.